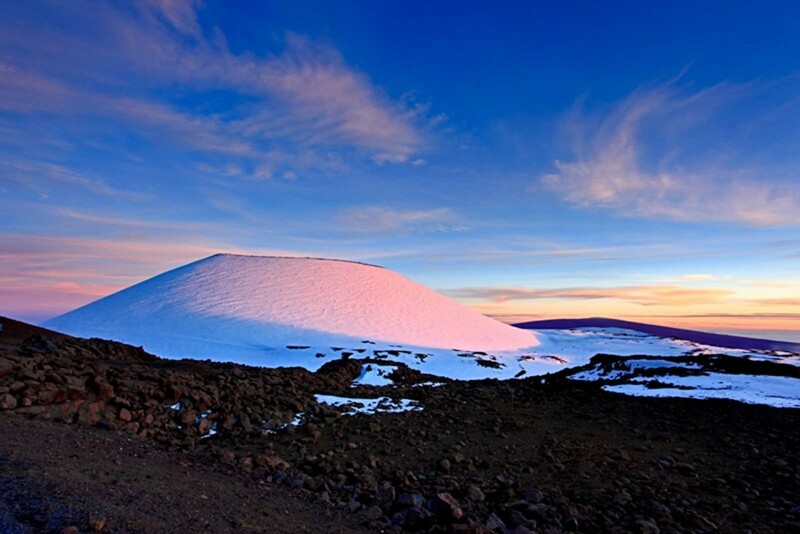 Mauna Kea–“White Mountain”–tops out at just shy of 14,000 feet on Hawaii’s Big Island. It is the first part of the island to catch the morning sun and the last to keep the sun as it sets. Not many people realize that Hawaii has snow, much less a mountain peak taller than most places on earth. Up here the air is clear, dry, and cold keeping the snow pack in place for the slight majority of the year. Known around the world as one of the best places to view into the galaxy, Mauna Kea is home to several powerful observatories. This spot is also sacred to Hawaiians who believe it has a rich history with and strong connection to the creator gods. I am a professional photographer living on Maui, in the State of Hawaii. I made my living shooting weddings, but now have shifted my energy to nature photography. What started as a hobby, has now become my passion. I love to explore nature, and capture the ever changing colors and shapes that I find. No matter how many times I go back to the same place, it never is the same. The lighting, the weather all change to give me a different feeling. I think that is what inspires me to keep shooting!